BenQ 7350C Scanner | OhGizmo! By Mic on 12/23/05 • Leave a comment! 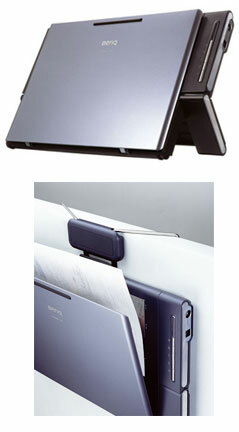 Say Hello to BenQ 7350C Scanner. Designed to be space-saving, the unit can be easily transformed to suit your different needs. Too bad this product is nowhere to be found in stores (at least when I looked). Find out more here.